Over the years I have been in several discussions where managers bring up the Hawthorne effect as a possible way of improving performance. It’s really easy, just go and observe the teams and their performance will improve accordingly to the Hawthorne effect. 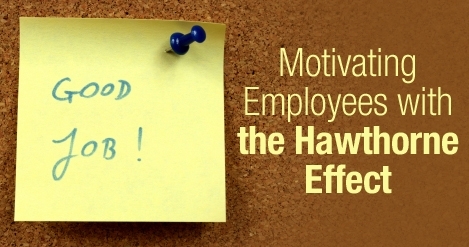 There are even companies that “help” managers to develop teams using the Hawthorne effect. The Hawthorne effect — an increase in worker productivity produced by the psychological stimulus of being singled out and made to feel important. Myths of this sort does not help anyone, instead they derail real progress and improvement; they muddle the clarity of thoughts and discussions. These myths make it harder for leaders and managers to create any real progress. 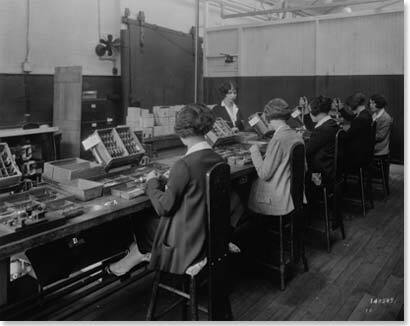 Western Electric performed a longitudinell research study (1924-1933) in the Hawthorne factory located in Chicago. Tens of thousands of interviews were conducted, tons of data was collected and numerous experiments were done over the years. This was serious research using big data before the age of computers. Western Electric constructed and manufactured equipment for Bell Telephone. Goal of Bell Telephone was to put a phone in every home in US and to create a telephone network from coast to coast. Bell Telephone was the innovation factory that produced innovations with a high frequency. Western Electric was the manufacturer that constructed all the necessary pieces for placing a phone in each home. Over 40 000 people worked in the Hawthorne factory, manufacturing of high tech of that time required hundreds of precise steps in the manufacturing process. Western Electric was inspired by Fredrick Taylor and his timing studies and became one of the adopters of “Scientific Management”. It is very interesting that what people bring up from the thousands of the Hawthorne experiments is the light experiment and how changing the light increased performance of the factory workers – It is completely false! I have read the research material and the results from the experiment and nothing indicates that performance increased regardless if light was decreased or increased. I urge you to read and check the results yourself, the picture below is from the light experiment in 1926. Do you see any clear performance increase? In 1928 Western Electric had become very sceptic that it would be possible to find any useful results in all the collected data. At this moment Elton Mayo from Harvard joined the Hawthorne experiments to help Western Electric. Elton Mayos analysis of the Hawthorne research explain best and clearest what happened at Hawthorne. Unfortunately it is not Elton Mayos analysis that becomes known, it is Eltons research assistance Fritz Roethlisberger whos voice actually echoes from the pages from history. In 1966 Fritz Roethlisberger publishes a book about the Hawthorne effect called “Councelling in a Organization” the conclusions from this book is what people still parrot today. Lets look a bit closer at the research. One of the longest running experiments was “Relay Assembly Test Room”. Between the years 1927-1932 six women were placed in a room to work separately from all other workers in the factory. Everything they did was measured including their physiological state. Among one of the experiments was to investigate how number of sleep hours impacted performance. The results showed that the women in the test room became more and more productive over the years. This result was interesting when compared with another test room where fourteen men sat and worked and that room did not show any improvement in performance. Fact of the matter and important to know is that the room where the men worked was a control group, i.e. no experiments were performed on them. The Hawthorne Effect was coined in the fifties when Henry A. Landsberger analysed the Hawthorne experiments and it became a mainstream concept in the 60ies when Fritz Roethlisberger and William Dickson published the book “Counseling in an Organization” was published. The Hawthorne Effect presented a solution that is easy to understand and implement for the wickedly troublesome problem of increasing performance in teams. The women themself stated that they became best friends while they were working in the room, they got the opportunity to be social and talk with each other with an opportunity to manage their own work compared to the work on the factory floor. Having a fixed team of people in the room created an atmosphere of trust and intimacy where it was easy to discuss with each other and knit bands of friendship. Over time performence increased. Mayo himself draw the conclusion that “the six women became a team and the team cooperated fully in the experiments”. The women in the room were in their teens and immigrants from Norway, Poland and other places in Europe and provided a livelihood for their families. The controlgroup with the fourteen men had agreed internally not to increase the pace of production since they did not see any upside in it for them, they were more worried that someone would be fired if they became more productive. Both sabotage and strikes were common during this period of time, management had a mechanistic view of workers and their role in the organisation. Humans should subjugate to the factory and the manufacturing process. The conflict between management and workers was a overhanging and constant threat in the most organizations. Factories did not have teams as we think of them, all the individuals and activities were measured independently and were also optimized separately from each other, groups of people could do work together but they did not form teams. When a real team formed and started to work as a team they outperformed all experiments and interventions done over the nine years the Hawthorne experiments were conducted. That is the real lesson to bring forth – next time some one suggests to use the Hawthorne effect to improve performance you know what to focus your and your teams valuable time on. The aptitudes of individuals are imperfect predictors of job performance. Although they give some indication of the physical and mental potential of the individual, the amount produced is strongly influenced by social factors. Informal organization affects productivity. The Hawthorne researchers discovered a group life among the workers. The studies also showed that the relations that supervisors develop with workers tend to influence the manner in which the workers carry out directives. Work-group norms affect productivity. The Hawthorne researchers were not the first to recognize that work groups tend to arrive at norms of what is a fair day’s work; however, they provided the best systematic description and interpretation of this phenomenon. The workplace is a social system. The Hawthorne researchers came to view the workplace as a social system made up of interdependent parts. Just a short reflection. Einsteins quote is very apt here: “We can’t solve problems by using the same kind of thinking we used when we created them”. Think a moment about the timeperiod; Taylors Scientific Management was the latest management rage everything was picked apart analyzed and optimized. Managers should think and workers should work. Improving economic efficiency by improving worker productivity was the main goal. Out of the dimensions Man-Technology-Organization, Man was completely forgotten or rather sidelined. Any solution crafted this way would be imbalanced and would not be sustainable from a society perspective. There was no way to solve gordian knot of dissatiesfied workers and improved economic efficiency by Tayloristic thinking. People would need to adapt a different way of thinking and seeing before a sustainable solution would be possible to create. It is interesting to ask: What beliefs do I hang on to that stop me from understanding the world? What additional dimensions could I add to my mental models that are missing today? I’m curious, what have you found out if you have asked these questions to yourself? The Hawthorne, Pygmalion, Placebo and other effects of expectation – Stephen W. Draper, Department of Psychology, University of Glasgow. Would this be interesting for your collegues?